5 Reasons to Sumo Deadlift Instead of ? 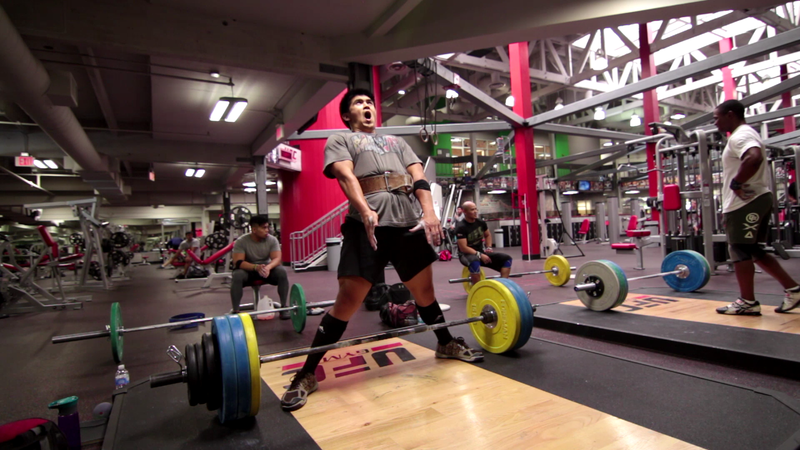 This is the first time sumo deadlifts actually felt right, much better than 7 months ago. Although the heaviest I lifted in this session was only 382lbs, it’s the first time I felt like I was using more of adductors and quads to break the weight off the ground vs my low back and glutes. I’ve been dedicating 1 day a week to doing 3-4 sets of 5-8 reps.
My squat sessions have been non existent because of my medial elbow pain. As a way to build and maintain my quad strength, front squats have been my replacement, but when you think about it, sumo deadlifts is a decent alternative to getting some heavy squat work in. Far from ideal, but it’s hell of a lot better than doing leg extensions and leg presses when your primary goal is to get good with the barbell. 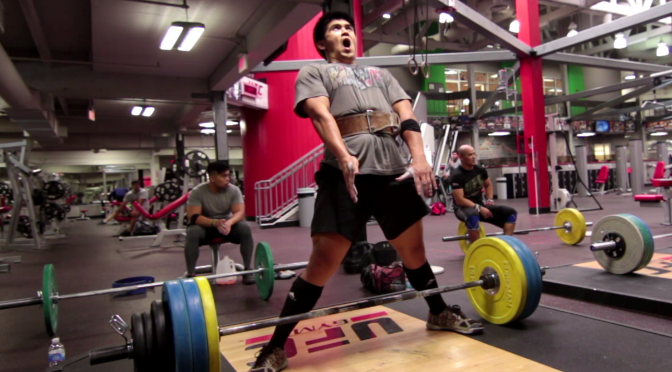 Another view of the sumo deadlifts is that it works as a great accessory exercise to conventional deadlifts and squats. Sumo deadlifts help strengthen your adductors but they also help promote a more “knees-out” position for squatting and conventional deadlifting. Of course in conventional deadlifts you don’t really push your knees out a ton, but you definitely use hip torque get those femurs to turn away from each other. If you’re a really good conventional deadlifter, sumo deadlifts is a great way to build your deadlift muscles without frying your lower back. One of the big advantages of a conventional deadlift is it allows you to get good acceleration with your low back and upper back muscles. Some people will disagree with this (probably richard hawthorn would), but when you’re back is sore or just not feeling up to snuff, pull sumo to still work on the posterior chain muscle group but with less dependency on the spinal erectors. I want to deadlift 700lbs at a bodyweight of 198lbs some time in my life. I may hit a plateau for a few years as Dan green did when he said he got stuck around 300kg (660lbs) doing conventional. So I figured why not invest some time now. I can’t really squat, so I’ll sumo deadlift instead. As you can imagine, if you squat with a wide stance, there is much more carry-over from your squats to your deadlifts and your deadlifts to your squat because you’re training positions that are very similar to one another. These are just my opinions and view points as of this moment. At anytime they could change as I learn and experience more things lifting this barbell. Do you agree or disagree? I’d like to hear your thoughts. Comment below on this post or on the related youtube channel. Thanks for reading, remember to share this if you feel it will be useful to someone you know.